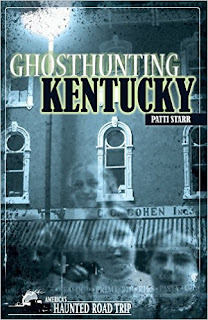 Ghost Hunting Kentucky, by the well-known author and ghost hunter, Patti Starr, is part of the 'America's Haunted Road Trip' group of books. 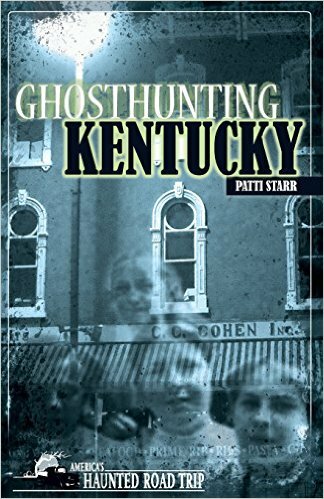 Patti writes about 30 haunted places throughout the entire state of Kentucky that she has investigated---and that you most likely can as well! I received this book in late September. My boyfriend travels throughout Eastern Kentucky and to Lexington quite a bit for work, and he's always on the lookout for local paranormal books for me. He happened across a signed copy of Ghost Hunting Kentucky and brought it home! Within a day or two, I had already read it, lol. Patti Starr is somewhat of an old school ghost hunter, and while I don't necessarily agree wholeheartedly with all her paranormal ideology, I do love her and respect her work. Plus, she's visited some really interesting places throughout Kentucky and elsewhere! This was a really quick and fun read, featuring a great mix of stories from locations I'm quite familiar with and some I had never heard anything about. There's also a good mix of history, personal experiences, and investigation reports. The book is broken down into geographical sections, with each haunted location given its own chapter. Most haunted locations featured in the book come from the central part of the state, but there's a great sampling from all over, including Frankfort's Buffalo Trace Distillery, Mammoth Cave, Ashland's Paramount Arts Center, Paducah's C.C. Cohen Restaurant, and Lexington's Kentucky Theater. Black and white photographs accompany each chapter, some taken during the investigations and believed to be of a paranormal nature. Overall, this was a great collection of regional ghost stories, spiced up a tad by the fact that these were places that were actually investigated for paranormal activity. The best part, nearly all these locations are available for private and/or public investigation events, or at the very least are open to the public during normal business hours. I had a great time reading through the experiences of not only Patti, but the many, many employees, guests, and other visitors to these locations. It gave it quite a personal touch. I definitely recommend this book if YOU'RE looking for a quick, fun read on haunted places throughout Kentucky, but you don't have to be from Kentucky to appreciate these spooky tales.